I have a quick and easy recipe to share with you. We’re not big fans of fish around here. Yes, I know we should be, it’s healthy and all that… omega 3’s and a bunch of other healthy bits and bobs, but fish just doesn’t really feature on our favourites list. So we eat fish because we know we should. This recipes happens to be one of the better ways to eat fish in our opinion, this and the Salmon Couscous Salad I shared a while back. It also happens to be super easy and has the added bonus of being fat free! The amount of ingredients in this recipe depends on how many people you’re making it for. What’s listed will be enough for one parcel, which is a serving for one person. 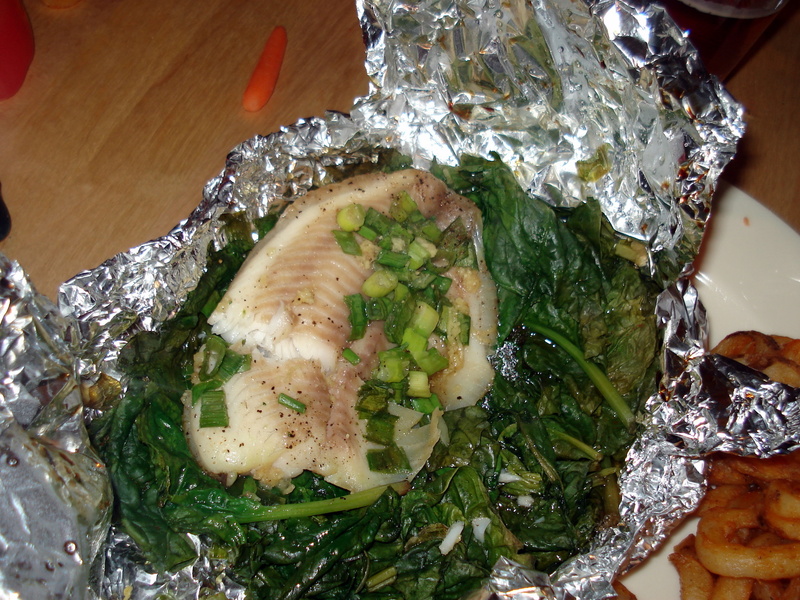 Preheat oven to 180 C. In the middle of a big rectangle of tin foil, place the spinach. Lay the fish fillet on top and sprinkle with the rest of the ingredients. 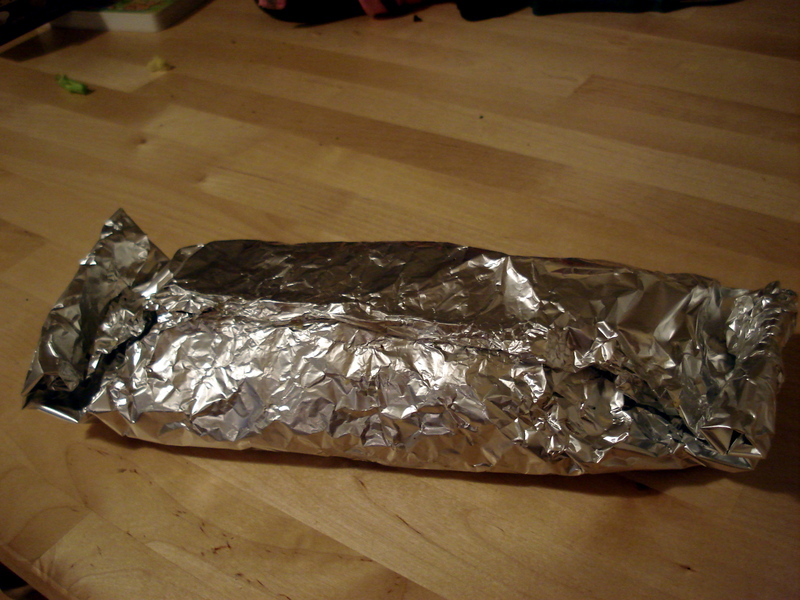 Fold the tinfoil closed with the seam on top. 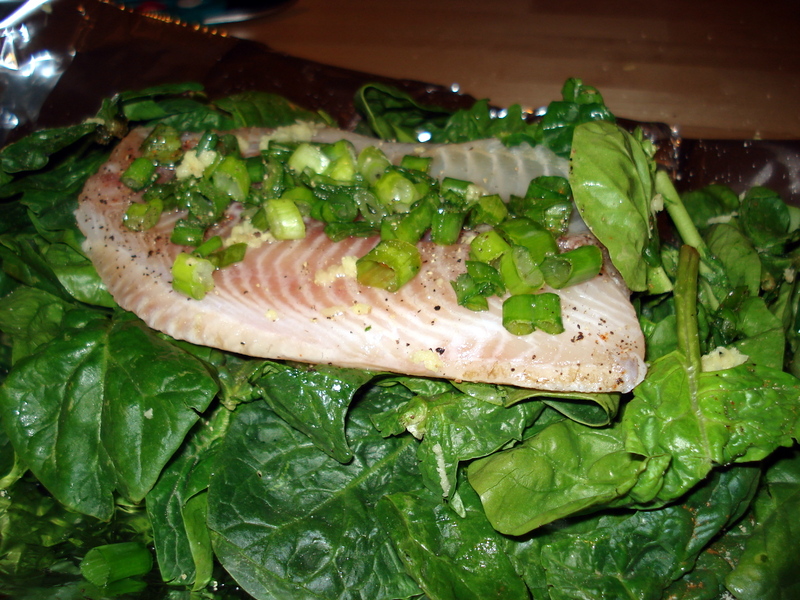 Place in oven on a baking tray and cook for approximately 20 minutes, depending on the thickness of the fish. Be careful of the steam when you open the parcel. Goes well with rice and salad. Yum, I love fish like this. A really nice way to have salmon is to pan-fry it hot so that it gets crispy on the outside and hot in the middle (but still quite rare in the middle). You can put any herbs you like with it, but fresh coriander leaves, lemon, and a bit of chilli work well — sweet chilli sauce is a goodie too, if you’re not too posh for that. Don’t believe that nonsense that fat (saturated) fat is bad for you. it is very necessary for your health, along with a bit of exercise to use up what is left over energy-wise. Will definately try this one. Looks nice and easy.